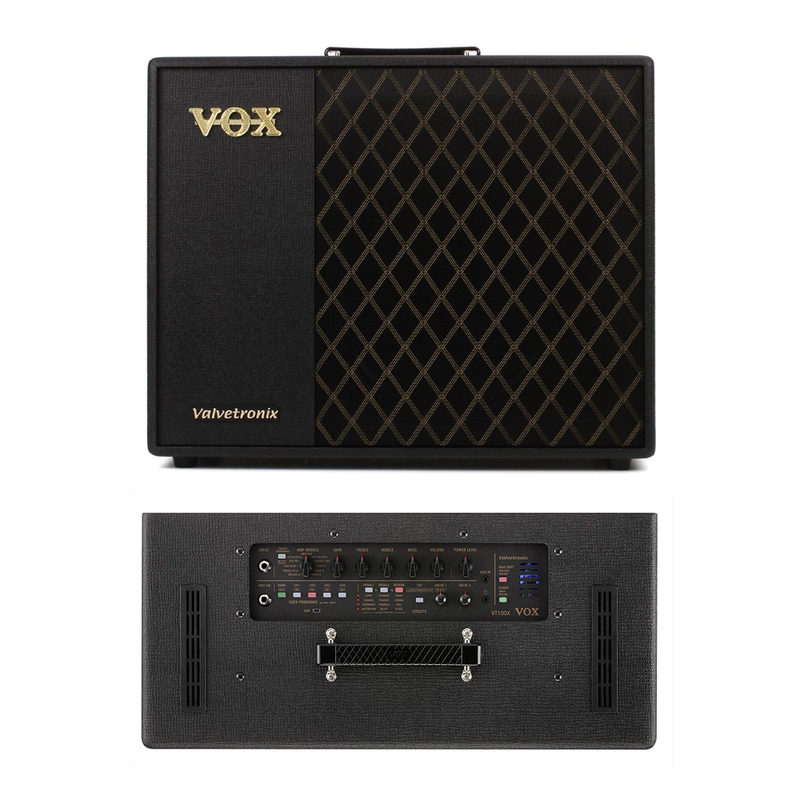 The Vox VT100X modeling guitar combo amplifier employs sophisticated digital technology, along with a unique analog circuit, to bring you authentic tube power amp performance. Vox analyzed actual amp components and circuits when they designed the VT100X, so each of its 11 amplifier models sounds incredibly realistic. A multi-stage Valvetronix tube preamp incorporates true tube circuitry, so you feel the subtle nuances that you'd expect from a tube guitar amp. A collection of 13 classic stompbox effects adds phenomenal depth to your performance. A tightly sealed cabinet and expertly designed bass-reflex structure ensure that the Vox VT100X modeling guitar combo amplifier delivers rich low end and exceptional amp resonance.